Rigging was all checked in 2012 and replaced as required. Built under Lloyds Register Certification. All interior woodwork stripped back and polished in 2012, new headlining in the Saloon. Three new hatches fitted and Rudder bushes replaced. The Radar is not connected. The Westerly Konsort remains one of the most popular Westerly designs, offering a great deal of interior space for a 29 foot hull. The most common boats are bilge-keelers, and around 100 Duos were built. This is a very clever design, deceptively spacious incorporating a great deal of accommodation and storage without feeling over crowded, and even just at 29ft she would make a great livaboard. Ideal for Family cruising, fishing or just exploring. 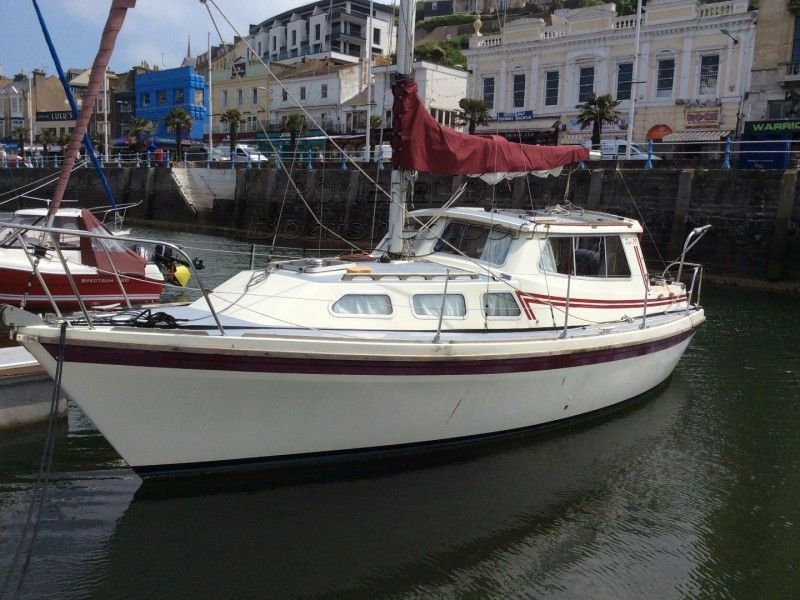 This Westerly Konsort Duo 29 has been personally photographed and viewed by Phil Key of Boatshed Torquay. Click here for contact details.